This is a great UFO video showing what can only be described as a UFO and it's actually flying right over the houses in a built up urban area. I don't think this is a drone (but it might be) and as the fog is maybe just a bit to much for this to be safely flown, if it is a drone and as fast as it is going, if that's a drone then it is an expensive one. Would they (hoaxers) risk an expensive drone for this? Your right, they probably would risk it for a good shot in the fog and with the "what is it" factor going as we can't see it properly. OK it's not a lot of fog but there is fog non the less and I just don't think it is a drone. It could however be a bird? It could be a miniature jet like one of them to scale replicas that are huge everywhere in the world with enthusiasts? I'm clutching at straws to find out what this could be and as always, it just comes down to individual opinions and individual "common sense" what makes sense to you? I have to generalize what this can be as I want to give as much or as many possible avenues for anyone to explore? 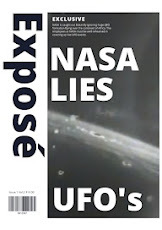 Remember though guys, it is still a UFO (Unidentified Flying Object) until this has been 100 percent verified? 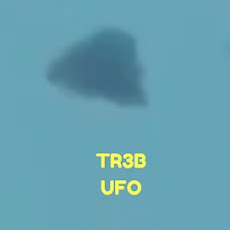 If this doesn't get verified anytime soon or as yet, then we have to just wait until it is verified "where everyone agrees to it being a specific such and such" and yeah, it will remain a genuine UFO but in the terms of it being or could be anything and not just specifically pertaining it to be a Alien vehicle? It's a curious and interesting, intriguing and very, very strange UFO sighting - which if I'm going to be honest with you guys, this really get's my mind racing because it just looks "good". It looks like it really could be a significant event caught on camera here? if it is a significant UFO encounter how exciting would that be? It would be one step closer to all out disclosure of Aliens actually existing. 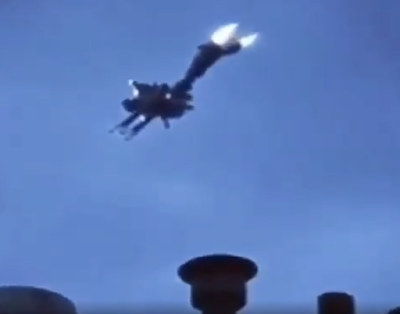 This is a great video showing what could be a genuine Alien UFO? It is a UFO in the technical term until it is definitely verified "one way or another". Until then this is a great and awesome event, with a possible UFO. God I hope one day we all get an answer, let's be honest the government or NASA cannot just give a "no" answer and expect us to be happy with that answer that "Alien's do not exist" because there's always that unknown dynamic that they could actually and in fact "exist". So, based on that guys were just waiting for the yes answer! 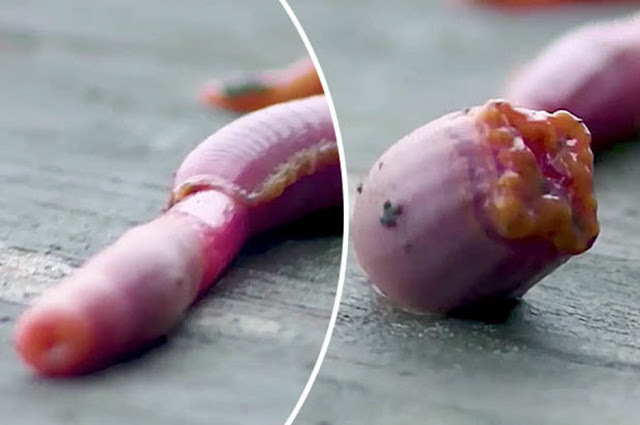 This is not a prank or a hoax, this is a Blood Worm and it's got metal teeth (copper based) to be exact and they give a mild venom "freebie" whenever they bite a victim. This is one creature you don't want to have as a pet or come across at the beach. This is the weirdest Alien - like creature that I've ever seen. It definitely reminds me "every single time I see it" of the Alien from the amazing movie called Predator, especially where it shoots out it's mouth to feed or even use it's mouth as a spear to stab it's victim through the head usually! Capable of delivering a mildly venomous bite to humans, the blood-worm injects its prey with venom using a set of claw - like teeth made from a copper-based mineral, making them extremely hard. But in a horrifying twist, the teeth are located at the end of a proboscis - gross, tubular mouth part fired out from the worm’s head. This is a bloody Worm! It's a Worm that feeds right, every creature needs to feed but how it feeds is what caught my attention as it has the - Alien and monster, plus horrifying creature vibe going on. It's scary "vibe" (which it has in spades going on for it) is absolutely everyone's worst nightmare - don't you reckon? I don't think it's a Bobbit Worm do you as someone actually suggested that this is what it was, lol? "a worm with teeth, that's nuts". 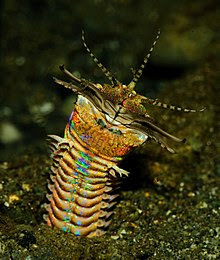 People have been suggesting that this is a Bobbit Worm but it has nothing on it that even comes close or even looks like it - except for it's shape being like a tube. That's it, the mouth is different and there's no pincers. Just teeth which are metallic in nature! Seriously, metallic teeth in the animal or insect world is extremely strange. When I found out that this is a Blood Worm and yes they do bite, I just had many horrible visions of it biting me on my feet walking on the beach. In fact they will always bite if you handle them without care. 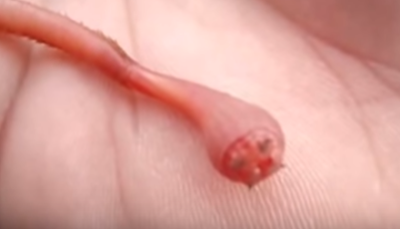 The Blood Worm is actually one of the weirdest and more strangest creatures that I've ever seen as I will always think of the Alien creature from the Predator movies. So what's your first impressions? Is it that there's a weird canny resemblance to the movie Predator? It has the mouth shooting out down to a Tee. It's cold, creepy, scary and if you haven't realized yet from what I've wrote - I hate creepy crawlies in person! But like this in a video I just squirm, lol. Please can you share this and we'll get peoples reactions to this freaky looking Worm with teeth, it's got copper based metallic teeth! I don't know about you - but that's a monster where I come from. 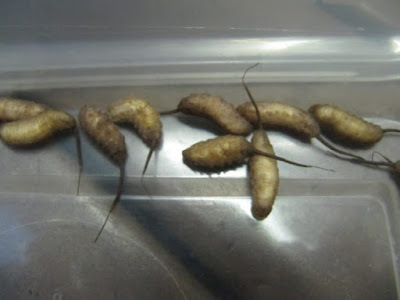 This is a really weird and strange creature that was found on the floor of a woman's kitchen and yeah they look absolutely strange and I needed to show you these freaky things. 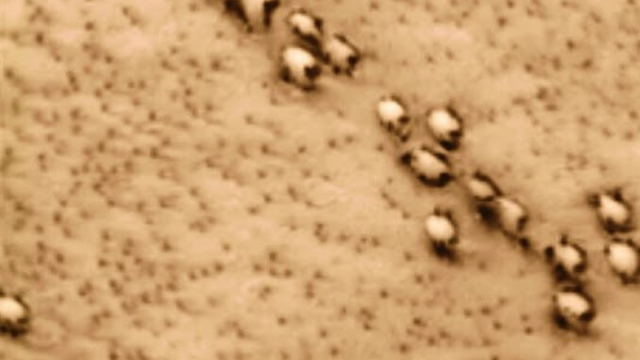 What are they, have you ever seen them before and if you have have you got any more images or videos as these are really interesting. Someone must see this and know what they are? They are trying to say that these are Maggot Rats? What the hell does that mean? They're a Maggot or a Rat? Even insect experts were unable to determine what the bizarre-looking animals were. 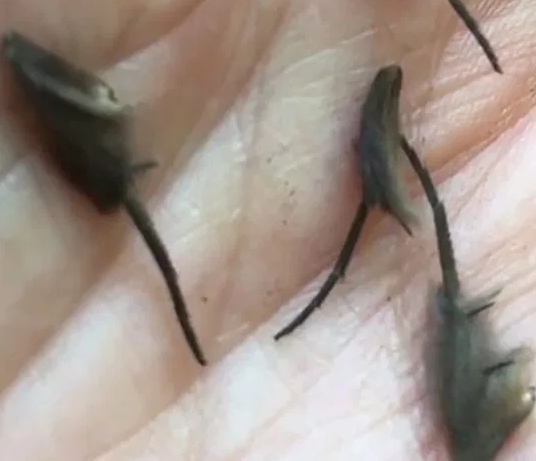 Tim Clerke, from Auckland, New Zealand, was baffled when he found them but needed help to identify what exactly they were – so he shared a clip on Facebook. But instead of coming to his help, his friends simply told him the creatures in his video – with squirming bodies – were terrifying. ‘(It’s)like someone cut the bottom end off of baby mice,’ one person noted. ‘That is like a horror movie,’ a second wrote. Other guesses included ‘deformed baby mice’ or ‘miniature bats’. The Biosecurity New Zealand entomology team eventually watched the video but still couldn’t come to a conclusive decision on what the strange animals were. Experts from the University of Auckland had an entirely different theory and said the video was a hoax. 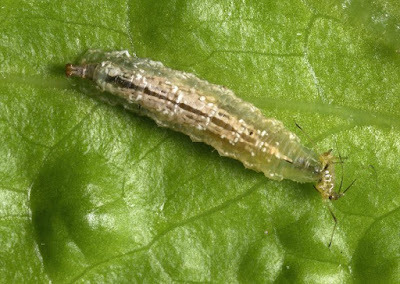 But Eric Edwards, an insect expert, said it was possible the unknown specimens could be hoverfly larvae – commonly known as rat-tailed maggots. The mystery continues. So, apparently this is what it is even though don't forget they still haven't been identified? This is what it must look like or resemble is all I can figure out. Source New Zealand Biosecure Entomology Laboratory. 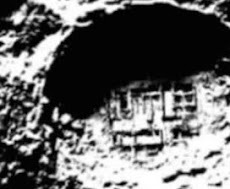 What could this be that fell from space and landed in Russia. The guy giving the running commentary in the video hits the nail on the head when he says that it could literally be anything. It's a great example of what happens straight away after this type of incident. There's a massive difference between what would happen in the USA and what happens in Russia. I'm talking blacked out with no recognizable insignia's or logos - helicopters and perimeters, men in black and cars, trucks and flatbeds all working in complete precision as one. This is a great example of what it looks like straight after an unknown object falls from space. It's not exactly a meteor with an eye extending from it but it's definitely something hot, on fire or combustible materials so it's either not fully a meteor or it's set fire to the thing it landed on? The disease and organic materials is a great angle to come from when you can't exactly see a huge meteorite sat in the garden you once used to lounge around in. There's not a lot of information that came with this video but the actual video itself shows us all we need to know. It wasn't actually that big, it is definitely sat in a crater and it's glowing red hot. There's not much information and that is probably due to the fact it really only just happened? It was only on the 24 of December 2018 so about roughly two months ago this happened. 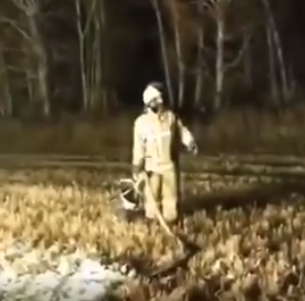 I will keep an eye out for anymore information related to this meteorite landing in Russia and if I get anymore I'll update this post with it. This is a great example guys, the commentator talks about the right things that we all should do when we come across something like this and that is to NOT go near it. 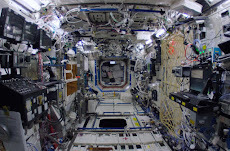 It really could have Alien hitchhikers on it in the form of diseases or bacteria. The locals don't always get to the crashed UFOs, sometimes the authorities have the upper hand especially with helicopters and planes. Seriously people in Kazakhstan actually discovered a crashed to earth object and they filmed themselves trying to open it. Here is the link to that post with video. 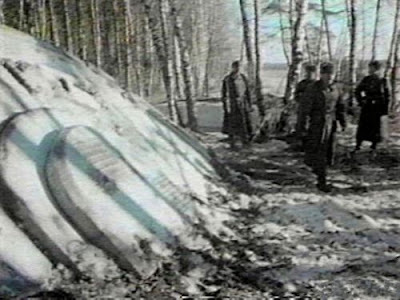 Source Reference UFO Crashed In Kazakhstan. You know what, this stealthy looking piece of amazing machinery is at it's best, "it really was" and guess what? This is old technology! It first took to the air in what year do you think? 1989 is the year your looking for. This is what is very often mistaken for a UFO as under it the lights could look like a triangle formation? That's old, like really, really old technology. But to me and probably many other people who don't have a clue about planes but a little bit about technology, probably think this is the best out there right now available to the US military. Well it's not, and that's by about as long of a mile - as a mile can actually get. My mind was in disbelief when I found out how old this technology was and how old this whole stealth technology is, because it seems like yesterday that this was leaked to the world. It's been in active service since operation Allied Force used in Kosovo. Damn that's old and really strange as it seems like there's nothing better than this, right? Guys there has to be because if this is from 1989 right, just for a minuet imagine where the technology is now? It is 100 percent in the science fiction realms, it has to be? Don't you think otherwise - or for one minuet that there's no such thing as "camouflaged" tech or invisible technology because with the types of computing powers, like say for instance the Chinese-made chips that power the world's most powerful supercomputers, which are Chinese too. 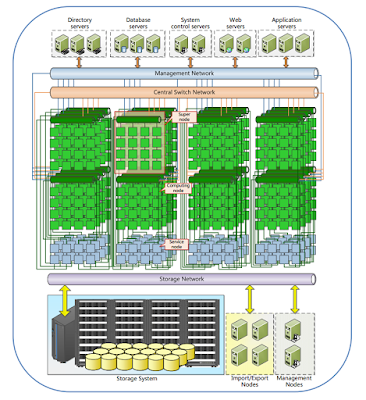 The computer, known as the Sunway TaihuLight, contains some 41,000 chips and can carry out 93 quadrillion calculations per second. That is powerful enough in a "mobile" setting to totally make the calculations needed to turn any plane in to a mirror image of it's surroundings. Invisible cloaks with nano scale or even smaller - like the world's smallest laser, contained in a silica sphere just 44 nanometres across which has been unveiled to the public. At about 10 times smaller than the wavelength of light, however, this is no ordinary laser, it is the first ever 'spaser'. Whereas a laser amplifies light, using a mirrored cavity to intensify it, a "spaser" amplifies surface plasmons - tiny oscillations in the density of free electrons on the surface of metals, which, in turn, produce light waves. Is it a Bird, is it a plane, no it's the Chinese in a fantastic vehicle from the future. For real! This is the ultimate in aircraft design - yeah in 1989! The above video is absolutely stunning but guys, it's bloody old technology. So based on that, what do you think the US military are actually using right now? 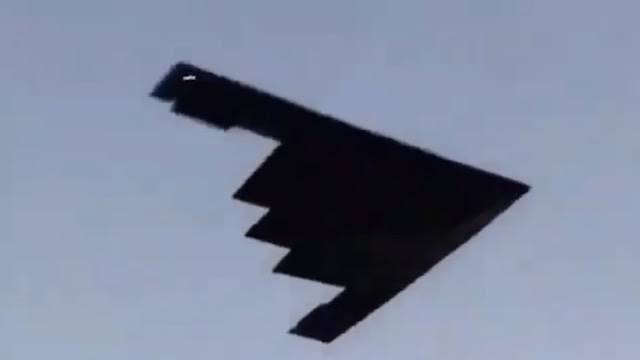 It must be better than the B2 Bomber, it has to more stealthier, more capable of everything that one cannot do and as they don't go backwards or sideways with technology evolution, well anything and I really mean anything is possible. Have a think about that for a minuet. Source Reference Operation Allied Forces Rand. There's part's of this UFO video which look very, very real but there's a part of the UFO video which looks a little bit unrealistic (only based on, that I've not seen anything like it before). Does that make it fake? Absolutely not! 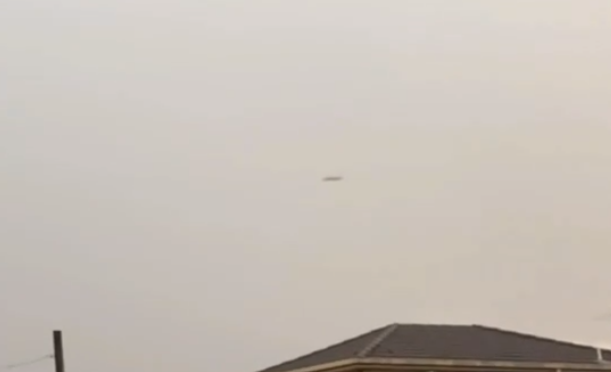 here's a really large UFO spotted above Orlando with actual UFO Orbs whizzing around it and flying in every direction. They really, really do look genuine. 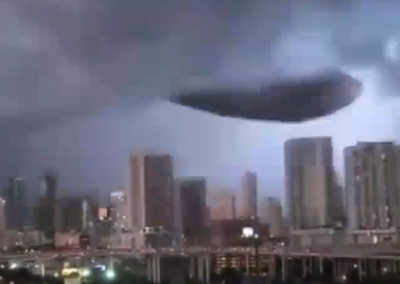 The very large "Blimp like UFO" can really only be seen when the lightening goes off or strikes out but when it's not lighting up the place it can nearly be seen - just the dark outline really which suggests that it is there? This is another one of them videos where I really can't tell? There is a part of me and the actual video which say's it is real, but a part that say's it's not. Yeah it would be so easy to say "fake" and move on right? But why do that? I want to know if this is real or not and if it's fake then you need to be aware of ow good they are getting and just how much a state of agony Ufology is in? With real looking videos like this, does Ufology stand a chance of being taken seriously - ever? 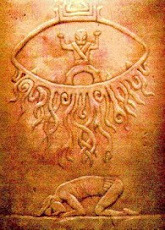 Does Ufology lose all integrity? Has it lost it's soul, integrity and purpose? 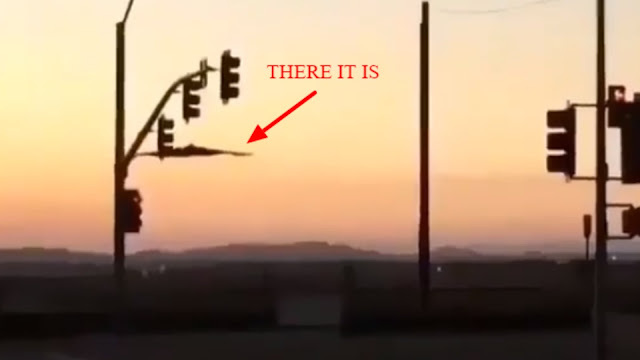 It's just to easy to say that this video is a fake and not give it anymore thought but I'm into Ufology and I want to get to the bottom of this and every other UFO sighting that I come across. I really can't tell if it's real or fake and that bothers me! Genuine UFO's (which are what) well, they intrigue me no end. That's why I love posting about them. I enjoy the discovery of something I never knew about. It's otherworldly and it's awesome. They are different and like I say, "it's just to easy to say "fake" and move on to the next one"! That's not how people do things - especially people who are interested in Ufology! No matter how insignificant, no matter how unusual or unrealistic or even "fake" looking a sighting might - be we have to take a closer look. So again, the Orbs have a definite realistic feel and look to them. The massive UFO on the other hand looks different as I've not seen one like this before. That doesn't mean it's not real at all. 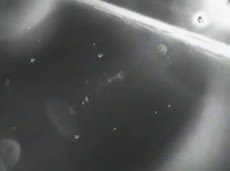 That doesn't mean it's fake or a hoax as there's other things in the video that look real like the Orbs. And if they are real, well is the other UFO real? 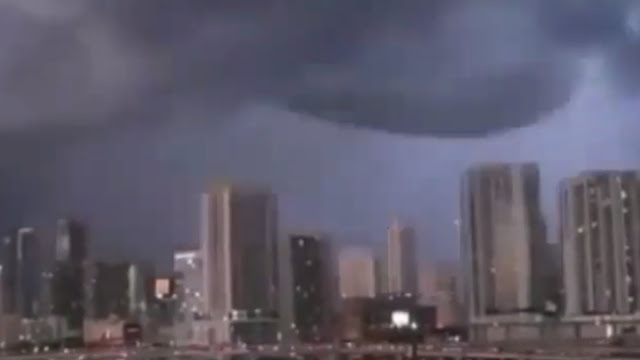 I've added some links in the reference at the bottom of this post which we did posts on UFOs actually struck by lightening or seen inside lightening clouds during a Typhoon. They are pretty amazing posts if I may say so myself, it's always the content which makes it and they really are good. You watched the whole thing (above video) and even though it's a short video, there's lots of information and lot's to think about. Is it real, is it a genuine or a genuine fake? Well that's up to you to decide and guys, leave us a comment if you can, cheers. 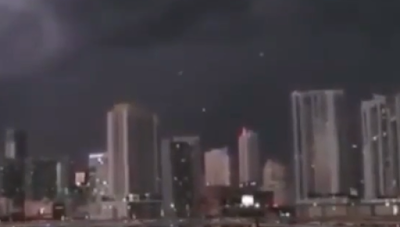 Source Reference UFO In Electric Thunderstorm. I can't explain this at all and the reason why I've decided to do a post on something I can't explain is literally because of the genuine real feeling I get from it. The whole video is short but it's very intriguing as the cameraman actually zooms in and zoom out, the camera adjusts the focus automatically and that tells me it's real. I can't examine the video anymore than that as I'm not an expert in graphics or video authenticity. But what I can get is a feel and my gut feeling is telling me that this is real. I know the hoaxers whole point is to fool people the best way that they can, but this one (I believe) goes way above and beyond that. The image below shows the UFO before the lights come on at the front of the Unidentified Flying Object. I can't find any faults only things that go in it's favor but yet the whole UFO looks ridiculous. I'll be honest with you, it looks to futuristic, to space military-ish and it has the look of a star fighter from a science fiction film. I just want answers the same as you guys! There's only what, 30 seconds of the video and the cameraman is heard shouting for back up to come see the "UFO". It's an Unidentified Flying Object and it's a really good one. 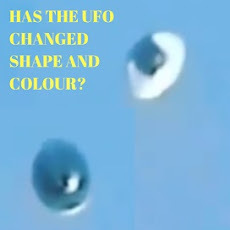 The shape, the size is the only thing that is putting me off from committing fully to believing this is a genuine UFO. 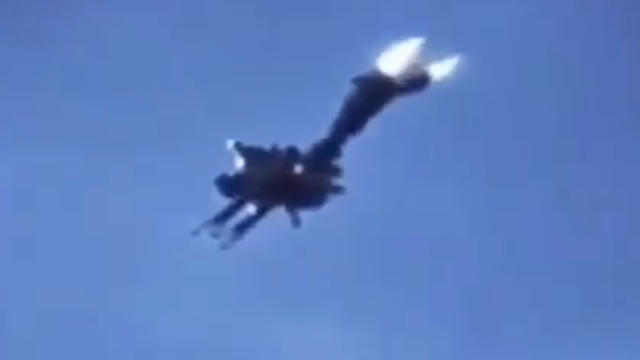 The UFO in the video is a lot better quality then most other UFO videos. 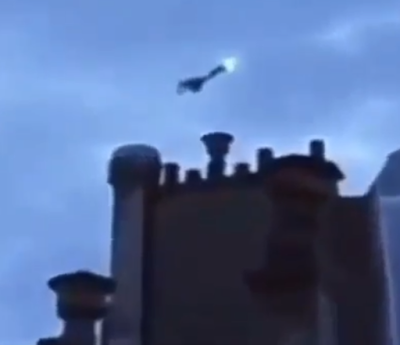 Is this a genuine UFO encounter over the inner city or is this a prank on someone filming it or is it a well rehearsed hoax? Guys, please try to answer this and share it with anyone you think might be able to answer it. 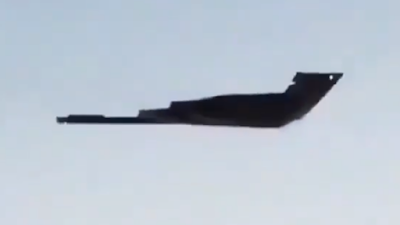 The video may very well be real but it could be a hoax somewhere else by someone with a remote control but there's no aerials, no propellers and no jet exhausts on the UFO which is perplexing because you'd expect it. Source UFO Sightings Footage Instagram.